Fingerprint Sensors And Numeric Keypads, Oh My. Two Upcoming Chromebooks Get Serious A Hardware Boost. It has been more than six months since the Chromebooks ‘Ekko’ and ‘Bard’ surfaced in the Chromium repository. We have suspicions these two Chromebooks will make their debut in coming weeks and it appears they will bring some very exclusive features with them. Fingerprint reader support has been a part of Chrome OS for more than two years. 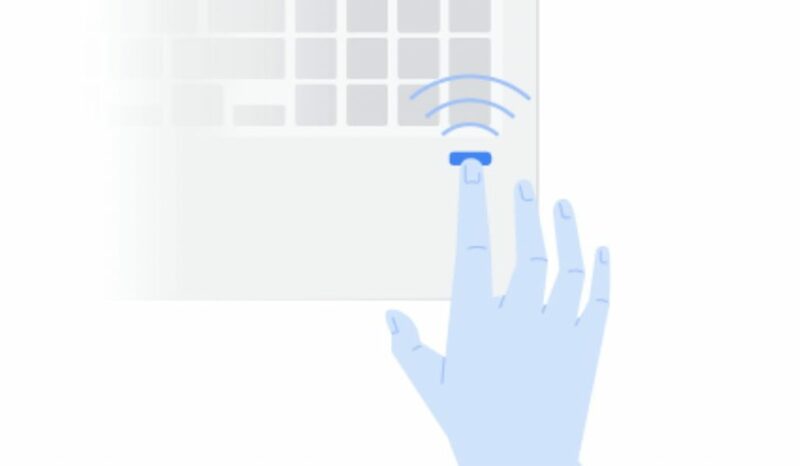 Yet, Google’s Pixel Slate is still the only device equipped with a biometric scanner. That will soon change. Ever-diligent Kyle Bradshaw from 9to5Google has uncovered details of a fingerprint sensor being added to the aforementioned Ekko and Bard. In the commit, we even see the image that will likely be the setup graphic for the sensor. Add Ekko and Bard assets for fingerprint UI. No translation required. As you can see from the image, this is a completely separate placement than what we find on the Pixel Slate which is intended to be a tablet-first device. Deeper into the commit, we found the addition of the new FP reader to the Material Design settings (md_settings_ui). Simply put, if the string is returned true the user will be prompted to set up a fingerprint and greeted with the new image as part of the out of box setup. The sensor, placed squarely below right side of the keyboard, looks very similar to so many Windows devices that have touted this feature for years. Speaking of the keyboard, did you notice something unusual in the setup image? A few weeks ago, Robby discover work being done on the addition of numeric keypads to Chrome OS. While third-party keyboards such as Logitech’s function as expected, there isn’t a Chromebook in existence that is equipped with a numeric keypad as part of the keyboard. For casual use, a keypad may not be a great draw for users but for many business-types, it’s an integral part of daily workflow. The image above is simply a generic placeholder for the setup process but the fact that there is a keypad depicted is a very good indicator that one or both of these Chromebooks will have this feature and that’s big news for Enterprise. So, who’s making these mysterious Chromebooks? There isn’t a definitive answer to that yet but I would put a cup of coffee up to wager it is Acer and I’ll double-down that we’re looking at 15.6″ Chromebooks that will fall somewhere in the vein of the Windows device below. A device of this nature would certainly appeal to the Enterprise sector and we happen to be on the cusp of Google’s Cloud Next event that will happen in just a few, short weeks. I seriously think we’ll be seeing a lot of Chrome OS chat at this year’s business-focused conference and we’ll be bringing you coverage as it unfolds.